1. Suave Kids Detangler Spray (swirl-berry)- My hair gets easily tangled and I figured why not try a detangler. I love the smell of this spray and it really has helped me while I detangle my hair. 2. Cantu Shea Butter Coconut Oil Shine & Hold Mist- I love the fact that it is in a spray bottle , it smells amazing and it re-hydrates my next day curls. 3. Hask Coconut Milk & Organic Honey - The product I got is the Curl care conditioner and deep conditioner mask. Its my first time trying out this product , but it literally smells amazing and looks moisturizing. 4. Nature's Bounty Vitamins- I pick up some more Hair , Skins and Nail vitamins because I ran out of my biotin that I normal take. I love take vitamins and I see the result with the length and thickness of my hair. 5. Palmers Coconut Oil Curl Styler Cream Pudding- This is my first time using it since I ran out of my normal hair cream the cantu shea butter and I decided to give it at try. I am not a big fan of the smell , and it wasnt that moisturizing like I thought it was going to be. 6. As I Am Coconut Cowash- I have seen lots of natural hair blogger rave about this product so I had to give it a go. I really dont own any cowash products so I am excited to see how well this product is and is it worth the hype. 7. Dippity Do Girls With Curls Products- I have never heard of this company before and I found it browsing in Marshall and decided to give it a try. The packaging is really cute and smells amazing. I will give you guys my full review once I use the products. 8. Shea Moisture Coconut & Hibiscus Curl Enhancing Smoothie- This right here is my holy grail moisturizer for my hair. One it smells amazing and have people turning their heads asking what you are wearing. It is also thick in comparison to other moisturizers. 9. 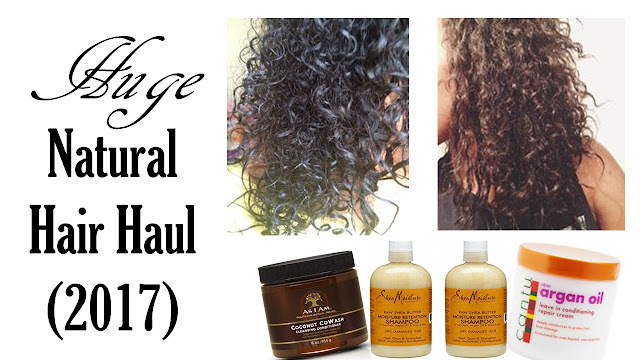 Shea Moisture Raw Shea Butter Restorative Conditioner and Deep Conditioner- I have never tried these product in the line, hopefully it works great like the other products I have used in the past. 10. Shea Moisture Superfruit Multi-Vitamin Soft Curl Gel-Cream- I love the smell of this gel , hopefully it doesnt make my hair hard when I use it. Other than that I an really excited to try this product. That concludes all the hair products I purchased over the weekend . Let me know your favorite hair products to use in the comments below.